These presentation slides 39529 are complete compatible with Google Slides. Simple download PPTX and open the template in Google Slides. How about this fabulous and elegant Chain Stage Diagram? 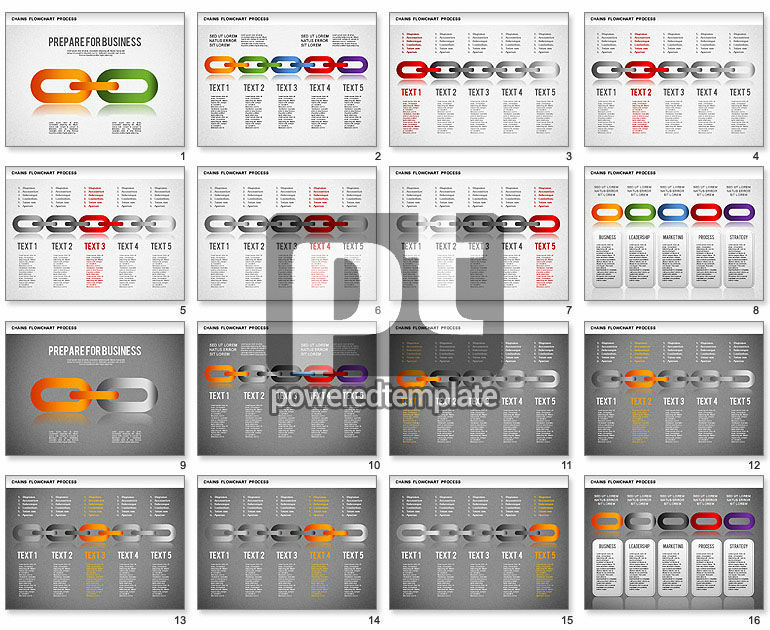 Created for various kinds of presentations dedicated to connections, correlations, weak links, sequences and dependences, it will be a great choice to visualize your information. This laconic sample has two background color solutions, bright chain and so on. You`ll have a wide range of opportunities to use this magnificent theme.